When Manuela asked me to write a guest post for her I was thrilled and honored. You see, Manuela is one of the kindest and most talented people I have ever known. Manuela and I started our blogs a few months apart and through this blogging journey I have come to admire her deep passion and dedication. She shares authentic Italian recipes. Her blog is my go to reference for everything Italian. I have to say that, as much as I love Manu’s food creations, it is her kind personality and warm heart that touched me the most through these past few years. She is a true friend, should you ever need one. Always there to support and cheer you on. When it was time to choose a recipe, I wanted to make something unique for her. Something that I loved, something Middle Eastern. 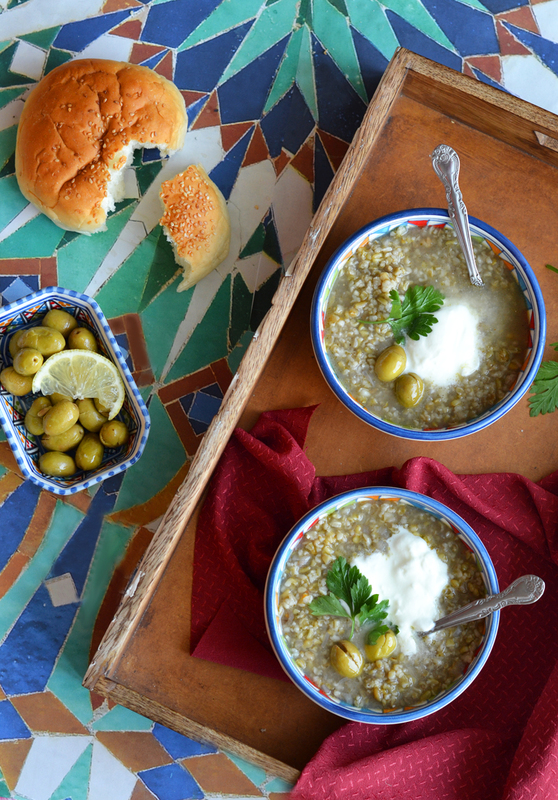 So I decided to make Freekeh soup.One of my all time favorite soup recipes. Easy and nutritious. Nutty,rich and smoky.Comforting without being overwhelming.The perfect balance for a perfect soup. Before sending you off to Manu’s blog (which I know you will LOVE) I have some exciting news to share! I have been selected as one of the top 100 food bloggers in 2015. I am thrilled! 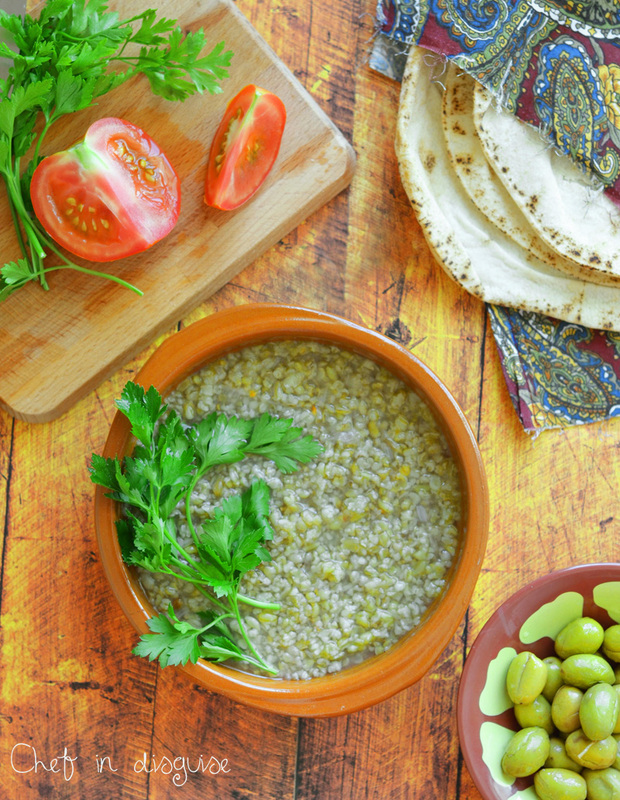 Posted in Appetizer, Arabic and middle eastern recipes, Soup and tagged arabic food, chef in disguise, food photography, freeka, freekeh, healthy breakfast ideas, middle eastern, MiddleEastern, recipe, soup, superfood, top 100 food bloggers, whole wheat flour. Bookmark the permalink. G’day and HOW VERY AWESOME for your well deserved achievement Sawsan! I am VERY happy for you! What a great recipe and thank you for your friendship and continuing to inspire me! You are just wonderful to share great meals & pictures with us. Thank you kindly ! Congratulations Sawsan…your blog is amazing and you deserve the recognition…wishing you more and more great things ahead. The soup looks lovely, and the recipe – wow! 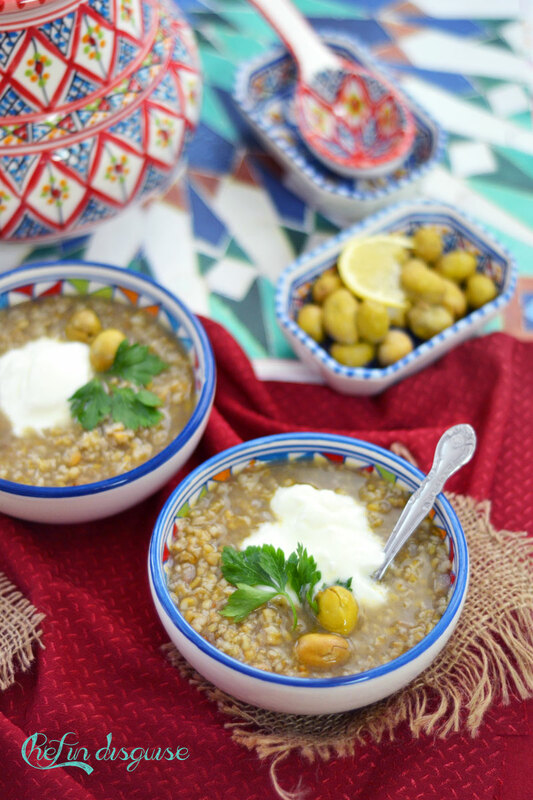 I’m blown away by the idea of such a simple grain-based soup flavoured with sweet spices. I am very keen to try it, as soon as the weather cools down.